Eric Nichols serves as the senior associate athletics director for marketing and branding/chief marketing officer at the University of South Carolina. He oversees marketing, digital and social media, and the University band and spirit programs. Nichols also serves as the primary liaison for licensing, merchandise sales, and outsourced entities including IMG for multimedia rights and IMG/Learfield Ticket Solutions for outbound sales. Additionally, he serves as the secondary sport administrator for men's and women's soccer. Nichols came to South Carolina following a ten year stint at Vanderbilt University, where he served as the athletic department's director of marketing and promotions from 2004-2008. Nichols was at Vanderbilt since 1998, starting as an assistant director of facilities but quickly working his way upward as his talents were recognized. 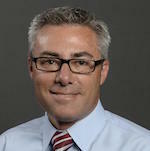 Nichols was director of game operations from 2000 to 2002 before being promoted to director of online services, a position he held for two years. His outstanding work with the department's official web site led to his promotion to director of marketing in 2004. Nichols served on the Vanderbilt Athletic Department's senior administrative team, the University's Executive Communications Council and was an adjunct professor at both Belmont University's and University of South Carolina's graduate programs. He is a graduate of Leadership Vanderbilt and a member of both the American Marketing Association and the United Way of Middle Tennessee Marketing Committee. Nichols has completed an Executive Leadership Class at Vanderbilt's Owen School of Business, served on the NACMA Board of Directors from 2009-2016, and was the 2015 NACMA president. Nichols also currently serves on the NCAA Men's Soccer committee. He has a bachelor's and a master's degree from the University of Tennessee-Martin, where he also spent time as a graduate assistant coach for women's volleyball. Nichols and his wife Christina have a daughter, Grace.